Are You In Search of Meal Prep Perfection? 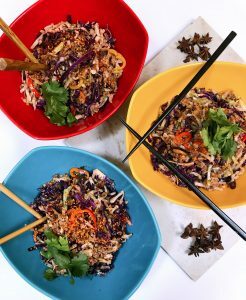 The search is over because this low carb Thai egg roll bowl affectionatly refereed to by some as "Crack Slaw" is about the easiest keto meal prep dish you can make. One pan and less than 20 minutes to prepare, you'll be back to blasting those Quads in the gym in no time.